Premium Cars for Sale In Milton. You can discover the sheer driving pleasure with Budds’ BMW’s selection of premium cars for sale in Milton. Choosing a BMW premium vehicle means you can be sure that you have made the right decision. These vehicles receive extensive checks before they are given a BMW premium selection certificate. Our premium cars for sale Milton are the best example of quality and superior performance. You will enjoy your time going through our huge selection of new cars and picking the premium car that suits your needs and wants. Premium Cars for Sale in Milton with Premium Benefits. All cars at Budds’ BMW undergo a 360 degree inspection by our experts to ensure the highest level of quality standards. In addition to the supreme quality you will receive with premium cars for sale Milton, you can also expect some additional benefits that include a comprehensive guarantee, mobile services, attractive financing options, and above all else, exhilarating and dynamic driving experiences. When you are looking into the purchase of premium cars in Milton, you are the boss. You have the choice of so many different models of BMW, and you can even test drive them. You can choose the exterior and interior color, the upholstery, the technical features and even the wheels and tires. Essentially you can buy premium cars in Milton that suit your individual needs and desires. 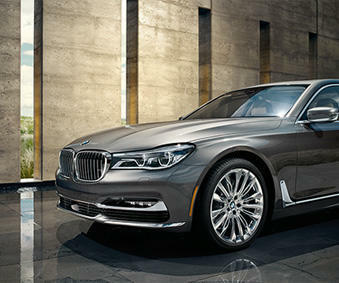 You can come into Budds’ BMW Oakville and check out our inventory or premium cars for sale Milton. When you purchase a quality premium vehicle from BMW, you are driving away in a machine that is durable and will deliver you with longevity. We offer our clients a variety of specials, discounts, warranties, and road assistance programs that you can take into account when looking for premium cars for sale in Milton. At our world class service department, you will not be disappointed with the care we give your BMW vehicle. Using BMW genuine parts, our highly trained and experienced technicians will work on your BMW while you get some relaxation in our bistro, or get some work done in our business workstations. If you live in the Milton area and you are looking for premium cars for sale, come into Budds’ BMW Oakville to find out how we can get you into the car you have always been dreaming about, with the quality customer service you deserve.